Alexander Filmer-Lorch trained as a professional dancer with the John Cranko Ballet Academy Stuttgart. His extensive studies of Eastern psychology and philosophy, yogic disciplines and meditation took place in the traditional one-to-one practice of teacher and student. 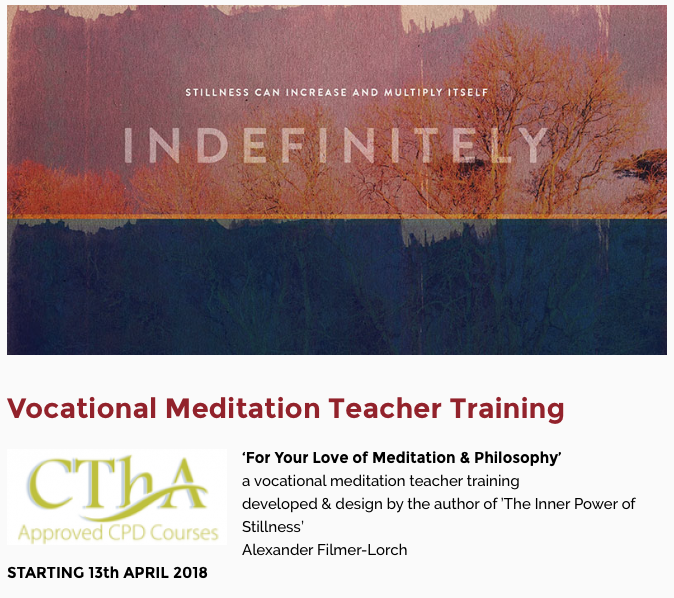 Alexander is founder of ‘Inside Meditation’ a modern school of neutral thought in London, offering regular CPD’s, mentoring programs, comprehensive meditation-therapy courses and teacher trainings. His work as a practitioner, mentor, author, lecturer, philosophical thinker, and teacher is a synthesis of 35 years of experience in movement, yogic disciplines, meditation, applied philosophy and Eastern psychology. His first book, ‘Inside Meditation’ was published in 2012, and his second book ‘The Inner Power of Stillness’ will be published by Handspring Publishing in August 2016.